Every year I read/listen to the book Platform: Get Noticed in a Noisy World. For me, this is the same as a football go saying, We need to get back to the basics. It reminds me of what my goals are as a content creator. In the book, Michael talks about making good content isn't really good enough anymore if you really want to get noticed. 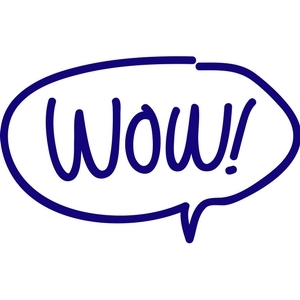 You need to make content that makes people go WOW. Then this response is followed by them telling a friend. Two Podcasts Episodes That Made Me Go WOW! Episode 100 of the Story Behind Podcast – Emily Create this Episode as a Musical. I had numerous people ask me if I had heard it. This episode too more than four days to assemble. Seth Resler who works for Jabs Media did an article on if there is or isn't a discovery problem in podcasting (read it here). While he had to do a little work to take all the answers and put them into an article that was easily read, he also pointed out, “It took years, because the only reason that the podcasting leaders that are quoted in that article responded to me at all is because I've invested years in the podcasting space, not just learning about the craft, but also building relationships at conferences and trade shows, and establishing my own credibility by writing, speaking, and hosting webinars about podcasting. Please dont read this and think, “I need to spend at least 10 hours per episode. That's not my point. My point is that it takes some planning, it takes some strategy, it takes knowing your audience, and it takes some practice to create WOW content. Here are the ingredients to wow content ( Adapted for podcasting from Platform: Get Noticed in a Noisy World). Surprise. Wow content should exceed expectations. – The Stacking Benjamins has great information but also is pretty funny. Anticipation. Anticipating a wow experience is almost as good as the experience. David Hooper's latest episode of the Red podcast had a huge teaser at the end. Clarity. A wow experience creates a moment when you see things with more clarity than ever before. I've had people tell me I do a really good job of explaining things. Presence. A wow experience has you experiencing the NOW. You are fully present. Universality. A wow experience is experienced by everyone in the same way. Evangelism. A wow experience has to be shared. The minutes the content is done, you're already thinking of the people you need to tell. Longevity. You can experience it time and time again without growing tired of it. Privilege. You're glad to be associated with it. I wanted to add a few things of my own. Intimacy. When someone shares intimate details of their life, this somewhat ties into Michaels surprise, but it makes people uncomfortable. Managing your audience expectations. If you set the bar too high, you might leave the door open to disappointing your audience. What about Passion? Audio Quality? Microphones? Platform: Get Noticed in a Noisy World.